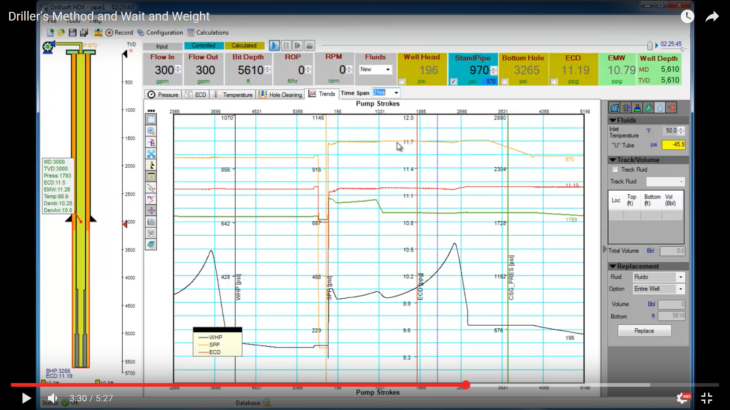 Comparison between Wait and Weight Method and Driller’s Method. It’s very well-known and documented the pros and cons between these two methods, we show you the real or numeric quantification between them using both methods under the same conditions. In the video, you will see a simulation of 10 barrels gas influx controlled using both methods, at the end you will see the comparison between them. •The casing pressure trend during the well control. •Maximum gas expansion and maximum pressure when kick reach surface. •Strokes or time that takes to control them.